Our ongoing work with the master mixologists at The Alchemist saw us down in Nottingham, transforming a beautiful listed building into the latest branch of this darkly luxurious brand. Mixologists can’t make magic without the right tools. We created a bespoke commercial bar with five cocktail stations, including one specialist dispense station, helping staff serve customers with speed and style. Every drink is a performance at The Alchemist. We fitted out The Alchemist Nottingham’s bar with state-of-the-art cocktail stations, drop-down blender stations and double speed rails. 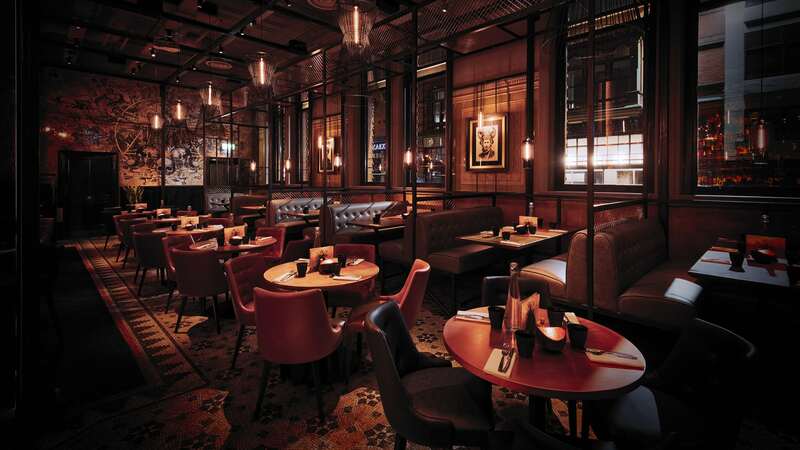 The team at The Alchemist are embracing energy-saving design. In addition to water-saving taps, the commercial kitchen includes a Synergy grill for quick cooking and low gas consumption. Designing a commercial bar and kitchen for this unique and oddly shaped space was a major challenge. Using CAD, we created a space that performs perfectly and highlights the venue’s original features.